Former General Counsel discusses Indiana teacher's arrest for alleged dissemination of material harmful to minor. Parents need to be diligent and monitor their children's online activity! Massillamany & Jeter LLP Partner Mario Massillamany was interviewed by Chris Proffitt of Indianapolis ABC affiliate, RTV 6, the Indy Channel, today. 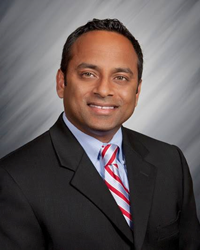 Mr. Massillamany was interviewed regarding the felony charges filed today in Hamilton County against North Central High School teacher Sameer Girish Thakar, 39, of Fishers, who is accused of having an online relationship with a 16-tear-old girl from Oregon. Mr. Thakar is charged with one count of dissemination of matters harmful to minors in Hamilton County Superior Court 5 under cause number 29D05-1602-FD-001056. Mr. Massillamany’s interview with Mr. Proffitt will air tonight on the RTV 6 evening news broadcasts. Mr. Massillamany is a highly-respected and sought-after criminal defense attorney in Indianapolis and the surrounding counties. He is the former General Counsel and Grand Jury prosecutor at the Marion County Prosecutor's Office and has also worked at the Hamilton County Prosecutor's Office. Massillamany & Jeter LLP is a full-service law firm based in Fishers but serving the entire State of Indiana. Mario Massillamany and Chris Jeter began their careers as public interest lawyers, serving their communities at the local, state, and national level. Mario served as a local prosecutor while Chris spent several years on active duty in the United States Navy as a Judge Advocate General (JAG). Following their years in public service, Mario and Chris had a nationwide practice while working for Indiana’s largest law firm, and one of the top 100 largest firms in the country. In 2015, they decided to make their extensive experience available to everyday people and small businesses. The firm focuses its practice in the areas of personal injury, criminal defense, corporate law, civil litigation, family law, estate planning, appeals and government services. The Firm has offices in Fishers, Carmel, Noblesville, Plainfield, Greenwood, and Lawrence.